Act now to stop kapparot cruelty! 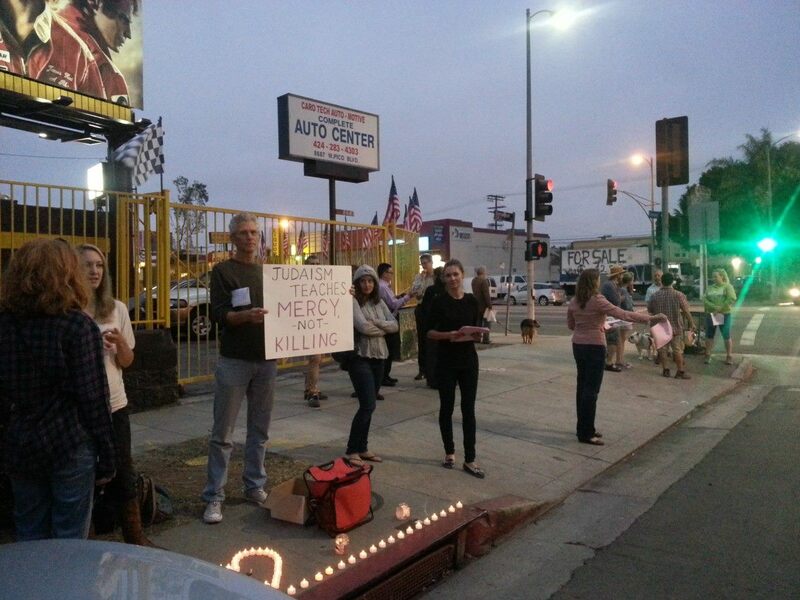 We are neighbors, members of the Jewish community, activists & animal lovers preparing to stop ritual sacrifice of chickens (known as Kapparot) in Los Angeles. Each year between the Jewish holiday of Rosh HaShanah and Yom Kippur, battery hens from factory farms that are crammed into tiny wire cages with no food, water or protection from the elements for days are chosen at random and swung around a penitent’s head, afterward their throats slit and tossed into the garbage. This is Kapparot, a Jewish tradition in which sins are symbolically transferred over to the bird. Only a small number of Orthodox Jews in Los Angeles still practice Kapparot this way; most who practice choose the modern method us a small bag filled with coins to give to the poor instead. We can stop cruel animal sacrifice in Los Angeles, but we need your help to meet our fundraising goals. Visit us on Indiegogo to contribute today! This past September we witnessed a week of this hell in Los Angeles, and successfully rescued dozens of chickens. We transported them in cat carriers and even cardboard boxes as we pleaded for the lives of any birds we could rescue. Some of those chickens went to Farm Sanctuary’s Animal Acres. Others were taken in by local animal advocates who could house them properly in backyard runs and coops. Amazing transformations were made as these birds learned to stand and walk on solid ground for the first time, free from harm and the constant stress of Kapparot or a factory farm. We must stop this cruel and religiously unnecessary practice of Kapparot with chickens from taking place this year. Last year, after powerful, week-long protests of this horror, the California Department of Food and Agriculture actually shut down three Kapparot operations, two in the city and one in the San Fernando Valley, citing sanitation and illegal operation of a slaughterhouse. Our protests drew every major media outlet in Los Angeles, and we were covered by Israeli media as well. We are ramping up to stop this before it even begins again through neighborhood outreach, legislation, legal routes, public education, etc. We need any help you can possibly give. If you want to put a stop to all that these chickens go through, then please help us finish our multi-layered campaign by helping us reach our financial goal. Thank you so much for standing up and helping. Receive campaign updates by email.